Photo: (from left, back row) Emma Colbert, Shayna Staggs, Allison Humphries, Mattie Thornton, Lily Grigg, (front row) Coach Richard Ivy, Riley Whiteaker, Zane Fountain, Blake Moody, Audric Browning and Assistant Coach/Judge John Duffie. 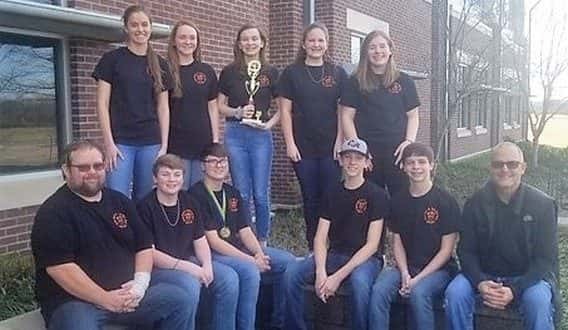 The Calico Rock Junior High quiz bowl team traveled to the AGQBA state tournament finishing in third place in the red group. In addition, member Zane Fountain made the all tournament team and will compete in an all star game. 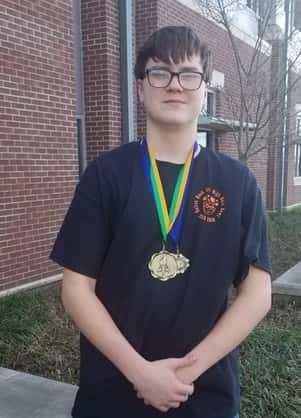 The competition as held at the University of Arkansas Community College in Morrilton.